Howard’s case is important in its own way. The crimes charged were bogus. The government procured testimony through serious prosecutorial misconduct. The prosecution represented fruit of the poisonous Yates Memo tree. 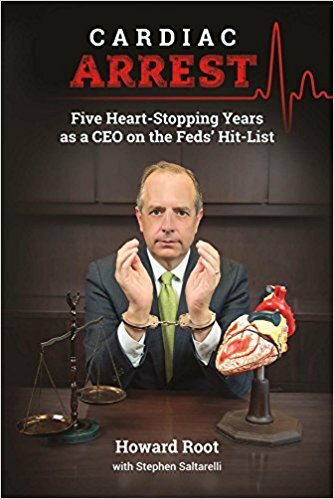 Howard had the resources to fight the government’s case against him and his company, but it exacted an enormous toll. The case cries out for study and reform. Howard has thus sought to engage prosecutors in discussion of the case in person before professional audiences of lawyers and businessmen for whom it holds immediate relevance. The prosecutors and their superiors in the department have sought to keep Howard from speaking to such audiences. When I wrote the Department of Justice to request its explanation for what it was doing, it declined to comment (a week after I asked the question). The Department of Justice declines to answer to Howard or me, but it might answer to Senate Judiciary Committee Chairman Chuck Grassley and Utah Senator Mike Lee. Senators Grassley and Lee have now sent a letter to Deputy Attorney General Rod Rosenstein seeking an update on the Justice Department’s inquiry into professional misconduct committed by prosecutors and higher-ups who brought the charges against Howard and have since sought to prevent him from being heard. In the letter Senators Grassley and Lee note that “reports suggest a pattern of threatened and actual retribution against defendants and witnesses borne out of the Department’s disappointment with the outcome of a particular case. This not only casts doubt on the Department’s ability to accept the results of judicial proceedings in a professional manner befitting the nation’s preeminent law enforcement agency, but it significantly undermines our confidence in its commitment to hold government attorneys accountable for questionable actions that may have occurred in the course of this case or other cases.” The letter poses seven questions and asks for response by April 5, 2018. I’m guessing the department will not decline to respond. Senator Grassley’s press release is posted here along with the text of the letter. Minnesota Senator Amy Klobuchar is resting on her right to remain silent. I have embedded the letter below via Scribd. We will continue to follow this matter closely.